Cumin probably originated in the Nile valley or in Asia Minor, because its use in Egypt can be traced back to at least 5,000 years ago. In fact, cumin seeds were found in many Pharaoh’s tombs. The Bible speaks about the use of these seeds as tithes in Palestinian temples. Cumin was very invaluable in ancient Rome also, because it was used not only in cooking but also in medicine, as its seed was used to help with digestion. 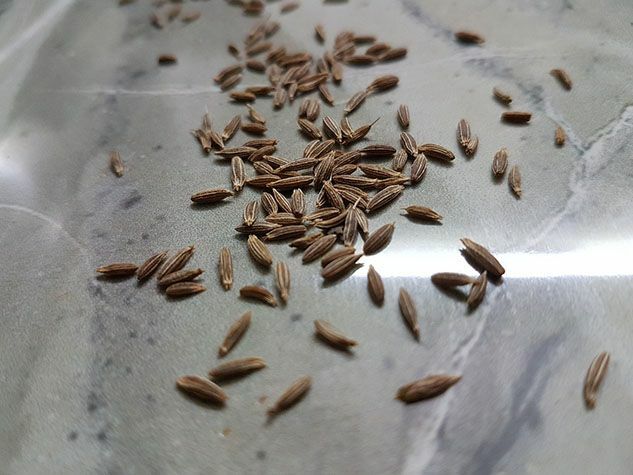 Cumin is an umbelliferous plant that belongs to the same family as parsley, with dark green foliage, fragile stems and flowers that produce seeds that are picked when the pods become brown. These seeds can be eaten whole or in ground form. Nowadays, cumin is an important ingredient in almost all the world cuisines. It is part of various traditional spice mixtures such as chili (tex-mex cuisine), garam masala (Indian cuisine) and ras el hanout (North African cuisine). Countries from the North use cumin to add fragrance not only to certain cheeses such as Gouda and Edam, but also to bread. As is the case with all spices, cumin should be preserved in an airtight opaque container, in a cool place, far away from sunlight. Originally published in the Journal de Montréal on October 23, 2010.